Finally, the wait is over as Samsung Galaxy Note 9 has been reached in Pakistan. From the announcement to the launch, people keep an eye on it and they were anxiously waiting for this amazing smartphone. As we all know that, Samsung always delivered something unique and best quality product. People bought their products by closing their eyes and that’s the success for any company. Samsung Galaxy Note 9 has been launched a few months ago worldwide, and Pakistani Samsung lovers were waiting for this. The amazing specifications of this smartphone are mentioned here. Check this and have your own smartphone which is feature enriched. The outstanding specifications and exceptional features will make you rush to the market for pre-booking. 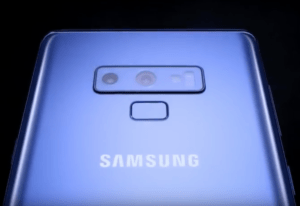 Check the amazing features published by Samsung Galaxy Note 9 authorities. First Smartphone with 1 TB Storage. CPU: Octa-core, EMEA Octa-core and USA/LATAM, China. Sensors: Iris Scanner, Proximity, Compass, Barometer, Fingerprint, Accelerometer, Gyro, Heart Rate, Spo2. The astounding smartphone is available in the following three online stores for pre-booking. First of all, you have to buy a pre-booking form from the retailer stores. The above-mentioned retailer stores are supported by Samsung and you can visit them to get your form. Now, you have to fill out the form and have to submit it to the same retailer shop. After that, whenever the Samsung will receive your form, they will deliver the smartphone to you. But make sure that, the phone will be available within a few weeks and you are just pre-booking it not purchasing. You have to pay the money in advance that is down payment of 20,000 PKR.